Top Affiliates ~~~~~~~~~~~~~~~~~~~ Your site? 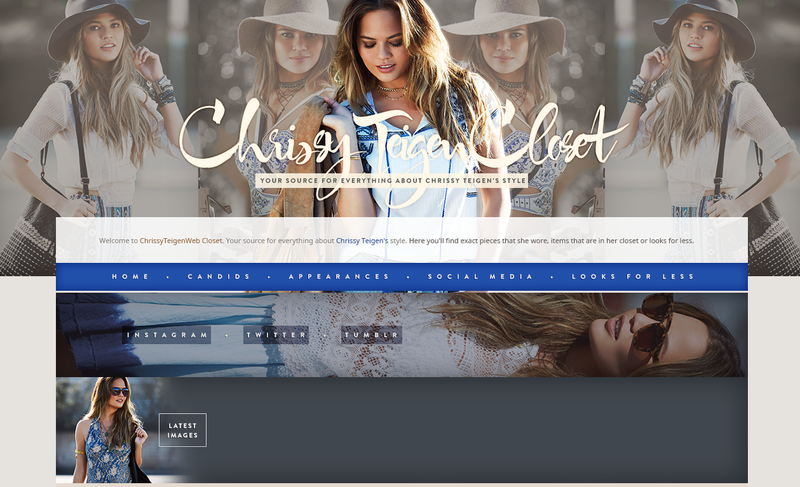 ChrissyTeigenWeb | Closet is a unofficial & non profit fansite about Chrissy Teigen. Our website doesn't claim ownership of the images, videos or news posted on the website unless stated otherwise. We are in no way affiliated with Chrissy Teigen, her family, her friends, her agency or management. If there is any content appearing on this website that belongs to you and do not wish for it appear on this site, please contact us as soon as possible with a link to say which post and it will be promptly removed. All copyrighted materials posted on this blog documenting and illustrating our interests. Miles is wearing the Leaf Print Shirt by Zara. You can buy it here for $19.90 | 14,95€. And his bandana bib is from the Alpine Set by Copper Pearl. You can get it here for $19.95 | 17,92€. Miles is wearing the Stars Organic Cotton Sleeper by Zutano. You can buy it here for $32 | 29€. Chrissy is wearing the Lace-up stretch shorts by Unravel. You can buy them here for $705 | 500€. And her shoes are the Alise 105 PVC and patent-leather mules by Gianvito Rossi. You can get them here for $695 | 550€. Luna is wearing the Frayed hem denim jacket by Chloé. You can buy it here for $235 | 149€. And her sandals are the studded suede sandals by Chloé. You can get them here for $290 | 185€. Chrissy is wearing the Lexy Cotton-Blend Long Wrap Cardigan by Akira Naka. You can buy it here for $1,050 | 934€. And her boots are the Suede Tubular Thigh-High Boots by Yeezy. They are sold out online. Chrissy is wearing the Gathered Neck Dress by Caravana. It’s sold out online. Luna is wearing the Chloe Dress by Nellystella. You can buy it here for $152 | 135€. Miles’ bandana is from the Alta Set by Copper Pearl. It’s currently sold out online. 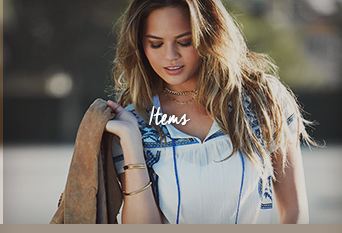 Chrissy is wearing this Winter 15/16 Kimono by Carine Gilson. It’s sold out online. Miles is wearing the Logo Sweat Shorts by Givenchy. You can buy them here for $240 | 214€. His shoes are the Two-Tone Logo Band Crib Shoes by Givenchy. You can get them here for $285 | 254€. And his bandana is from the Wild Set by Copper Pearl. You can buy it here for $19.95 | 17,75€. And Luna is wearing the bow sandals by Mini Melissa. You can buy them here for $72 | 72€. Picture Credit: 2019 BACKGRID, Inc.
Chrissy is wearing the Paneled merino wool cardigan by Rick Owens. You can buy it here for $1,320 | 805€. Her sunglasses are the Generation square-frame gold-tone sunglasses by For Art’s Sake. You can get them here for $234 | 210€. And her headband is the Rosette Headband by Jennifer Behr. You can buy it here for $325 | 290€.